After Kirito's attack, he goes missing from the hospital. Asuna and friends track him down with help from familiar faces. Episode 5 - "Ocean Turtle"
I'm not a big fan of supposedly regular people characters suddenly turning into private detectives, but it happens a lot in fiction. 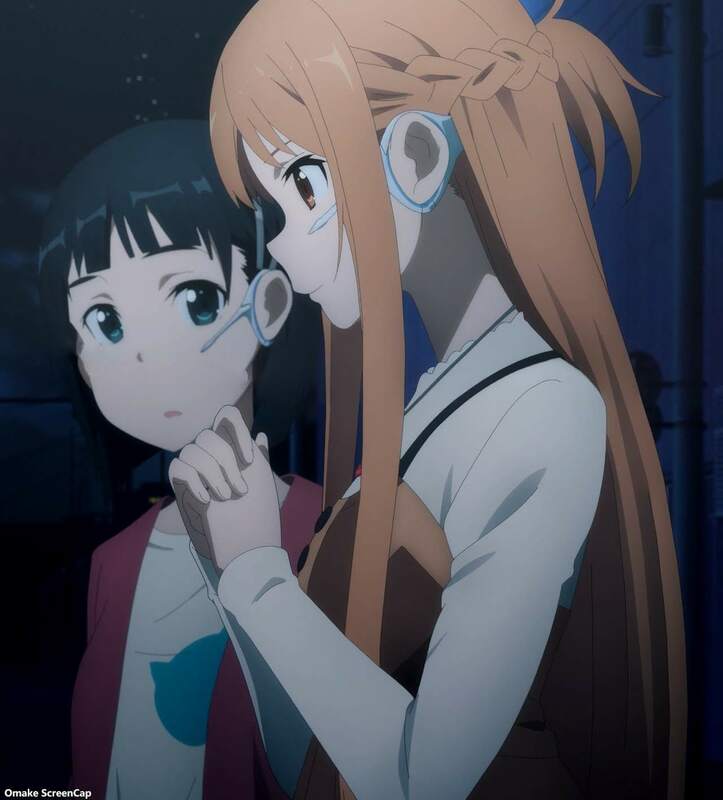 At least with the kids in SAO, they're all quest oriented because of the time they spend inside virtual worlds based on games, and they have the best secret AI acting as their real life Navi. Everyone should have a Yui flying around calling you Mama or Papa! What I find kind of funny for these people getting the band back together of everyone who made Augma gear, medicuboids, and totally immersible virtual environments trying to make artificial souls, is that they actually succeeded in creating an artificial digital life-form inside of Aincrad. Maybe Kikuoka suspects this and it's the main reason why he knows he needs Kirito involved in his new Soul Translator project. He needs that guy who can take a system and bend its confines into something outside of its parameters to make a real breakthrough. Asuna being revealed as the fake Mayumi Reynolds was pretty good, but it showed me that I haven't been paying attention to the OP credits sequence. 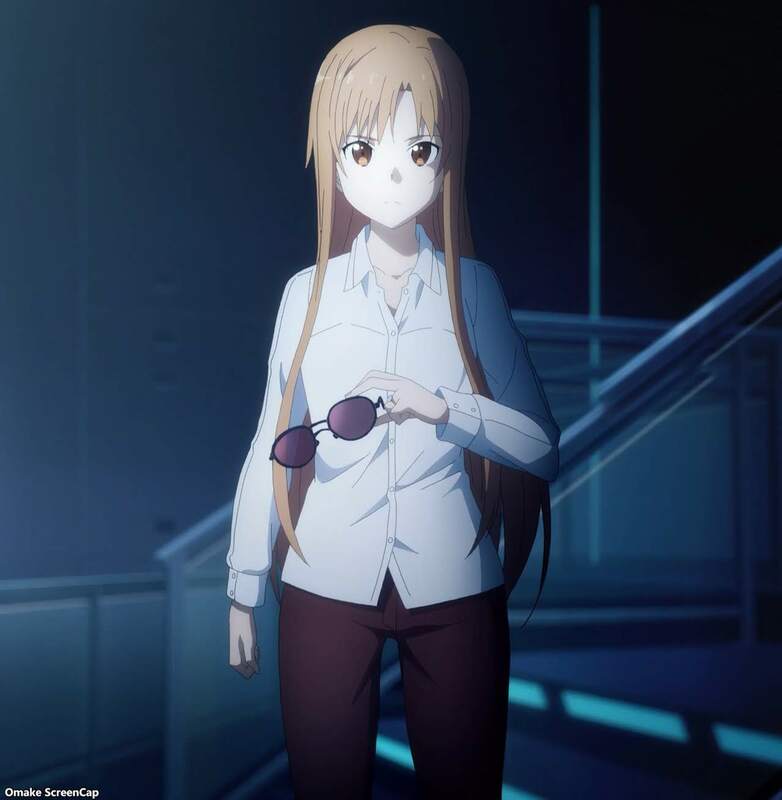 The hints were all there in Asuna's scene, from the sunglasses, to the outfit, to her being out in the middle of the ocean. I shouldn't have been that surprised, but it really was a good moment. We're finally back to real life. Kirito was in surgery and his implant was still working, letting Asuna keep track of his heart rate and temperature. The doctor said his heart stopped for 5 minutes, so there might be brain damage. At the very least he'll be in a coma for a long time. Oh, that guy. Kikuoka always has a solution. And he's not at that military hospital. We know that. He's already in Underworld. Yui is looking for Papa! She'll find him. Ha! 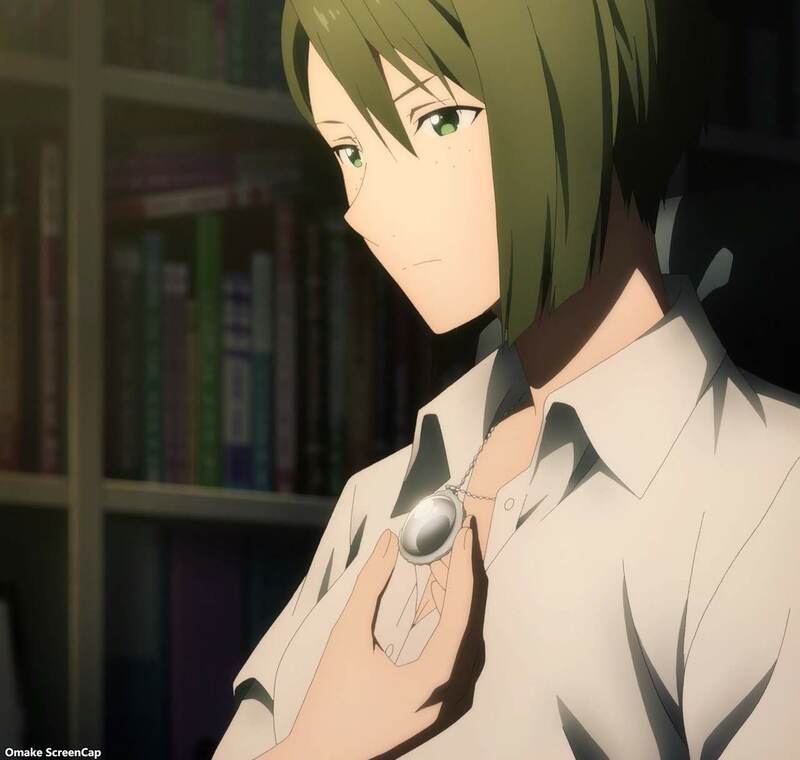 Sugu is correct. Kirito is always getting tangled up in something. Oh, so now they have to go to California? This is good stuff, actually. Kayaba's girlfriend designed the medicuboid interface that Yuuki used and we saw Kirito using in the prologue. 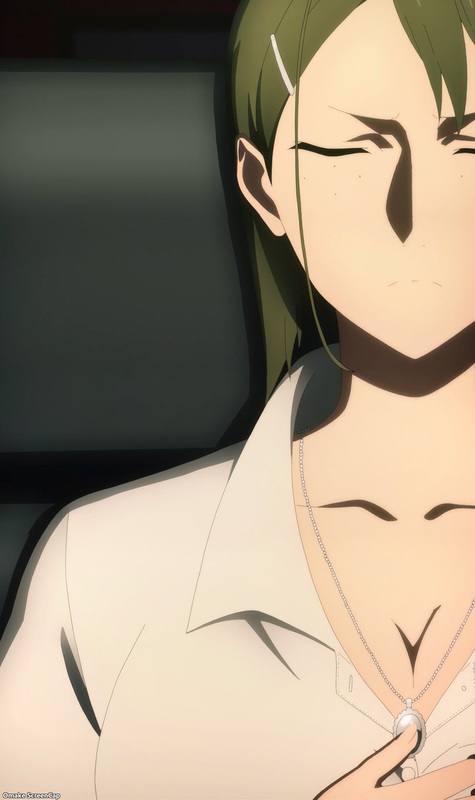 She also took care of Kayaba's body while he was stuck inside SAO. Lots of origin lore going to be revealed in this arc. The Ocean Turtle is the name of this floating cloud city. Cloud servers that is. This blondie Mayumi needs to hide her eyes from the audience for a bit. Mysterious! Kikuoka has been here a month. Which means the other guy Rinko needs to meet but can't is Kirito. If it's been a month out here, how long has it been in Underworld? Those screens show that the big tree is still standing, so Kirito and Eugeo haven't cut it down yet. And it's Asuna! I should have seen that coming, but I totally didn't. And Kikuoka should know better than to keep secrets from women who have experience with boyfriends trapped in virtual worlds. 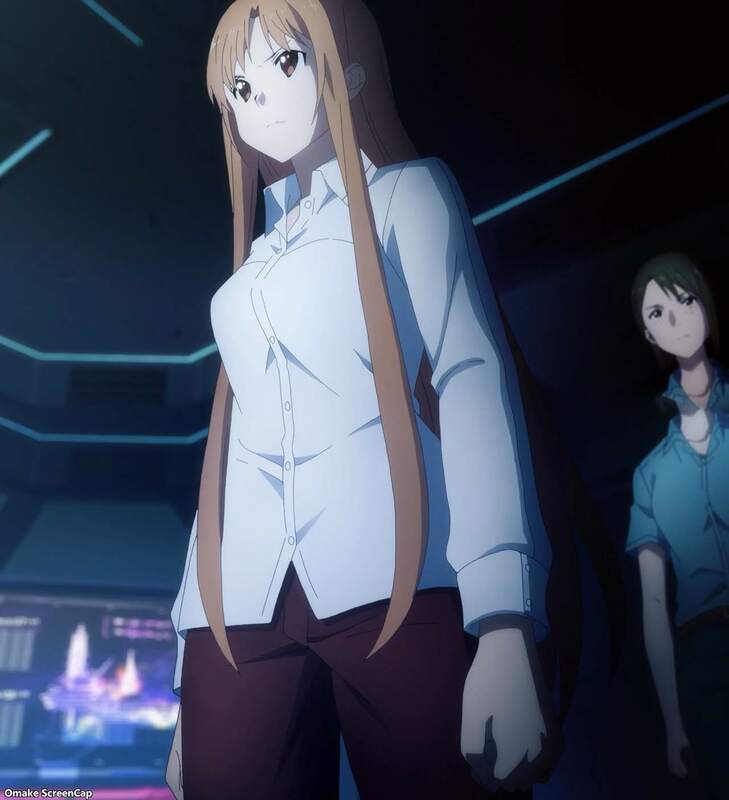 Asuna has a "friend" who can mess around with databases. Everyone needs a Yui calling you Mama! So, Kikuoka. Where is Kirito?